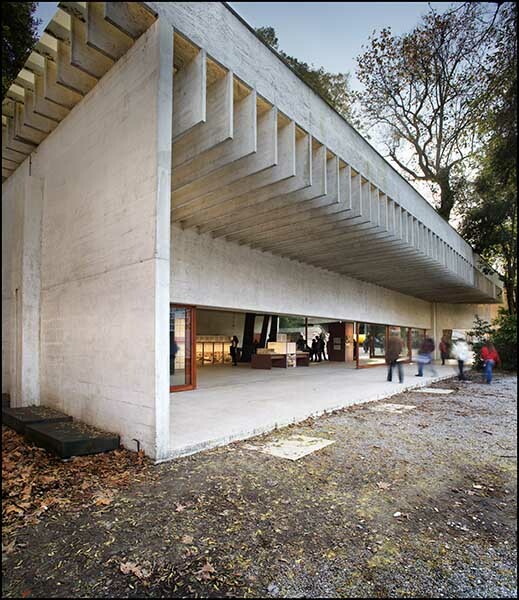 Architect Sverre Fehn was one of the biggest supporters of modernism, and must be regarded as the most internationally acclaimed Norwegian architect. In 1946, 22 years old Fehn began his architectural education in Oslo, and already in 1949, he and his study partner Geir Grunge won the Museumsbygning for De Sandvigske Samlinger (Norwegian museum competition) at Lillehammer. In 1952, he and seven other young architects formed PAGON (Progressive Architect’s Group, Oslo, Norway) with mentor Arne Korsmo, who fought for a new modern architecture. PAGON later became a division of CIAM (Congrès International d’Architecture Moderne). In an era of reconstruction and pragmatism, the young architects wanted to look back on the idealistic modernism from the 1930s, and they wanted to bring Norwegian design abreast of international architecture. From the beginning of his career, Fehn received important impulses from his teacher and recognized architect Arne Korsmo, and in 1952-53 Fehn made a study trip to Morocco which was going to be decisive for his future work. The following two years, he lived in Paris where he worked and studied with the prominent French architect Jean Prouvé. Fehn participated in several World Fairs, and although his final international breakthrough came late in his career, he had an international recognized name. After the 1958 World Exhibition in Brussels, he produced two works that have remained as his main works: The Nordic Pavilion at the Venice Biennale from 1962 and Hedmark Museum located at the ruins of Hamar Cathedral. He was particularly interested in the modernist demands for clarity and bold simplicity, but often managed to bring a certain personality into the minimalist architecture. Hedmark Museum (1967-1979) is considered his masterpiece where he moved away from pure modernism and created his personal architectural universe. It is made of concrete, wood, and glass to contrast with the stone structures of the church ruins. The architecture seeks to highlight the original medieval structure and the more recent farm buildings. Ramps provide the means to view the museum from above. The result is a building that exposes modern materials and the ancient walls of yesterday, and Fehn once said that only by manifesting the present one can get the past to speak. 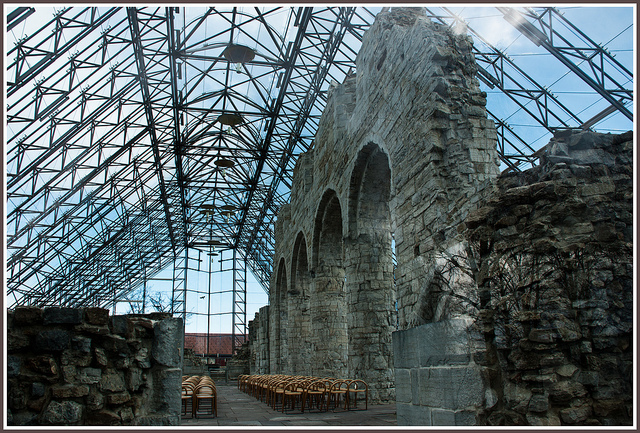 (article continues) Hedmark Museum, Domkirkeruinene – Ruins from Hamar Cathedral. 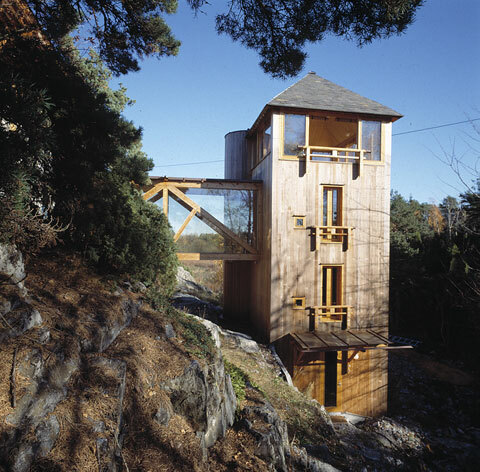 In the 1970s, Fehn designed the school for the deaf located at Holmenkollen in Oslo. It is a larger facility broken down into many buildings carefully placed in the sloping terrain. Norwegian newspapers called it a “concrete hell for deaf children”, and Fehn’s career suffered a severe blow. 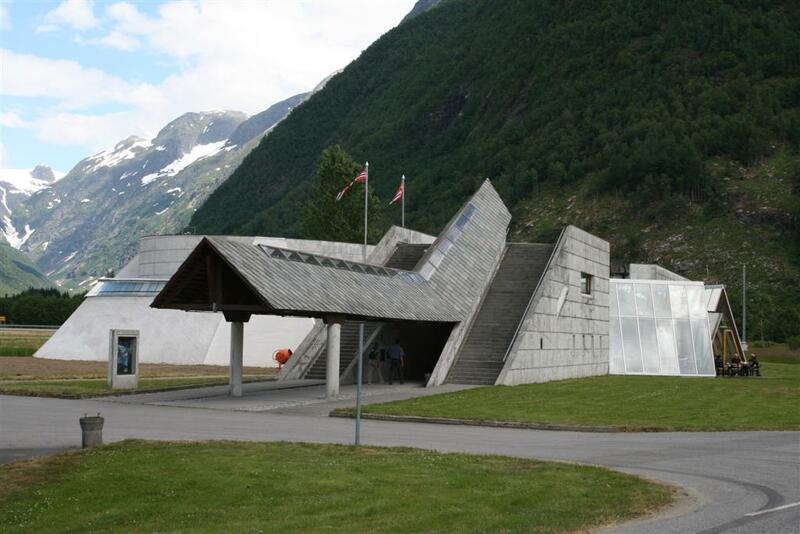 After the scandal, he only raised three public buildings: Norsk Bremuseum (Norwegian Glacier Museum) in Fjærland, Aukrustsenteret at Alvdal, and Ivar Aasen-tunet in Ørsta. All three are long, narrow building sections and examples of the personal idiom Fehn developed in the latter part of his career. The final international breakthrough came in 1997, as he was awarded the Pritzker Architecture Prize (the world’s most important architecture prize) and the Heinrich-Tessenows gold medal. The result of this was that the Norwegian Museum of Architecture was commissioned by the State Department to create an international exhibition of his work. Between 1971 and 1995 he was a professor at the Oslo School of Architecture and a sought-after keynote speaker. He had a poetic expression and great artistic qualities. He was honorary member of the Norwegian, Finnish, Scottish, British and American architect associations, and member of the Royal Academy in Copenhagen and Stockholm. He received the gold medal from the French Academy of Architecture and the Norwegian Grosch medal in 2001. 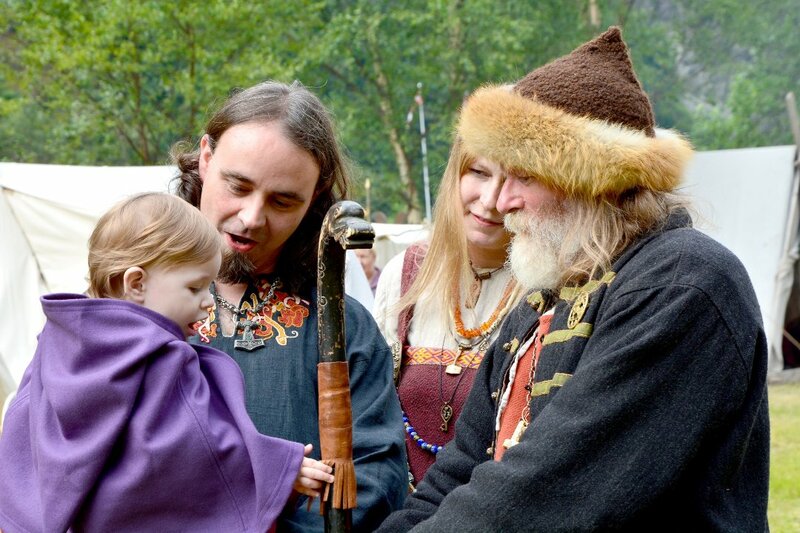 In 1994, he was appointed Commander of the Order of St. Olav. Sverre Fehn died in Oslo in 2009.